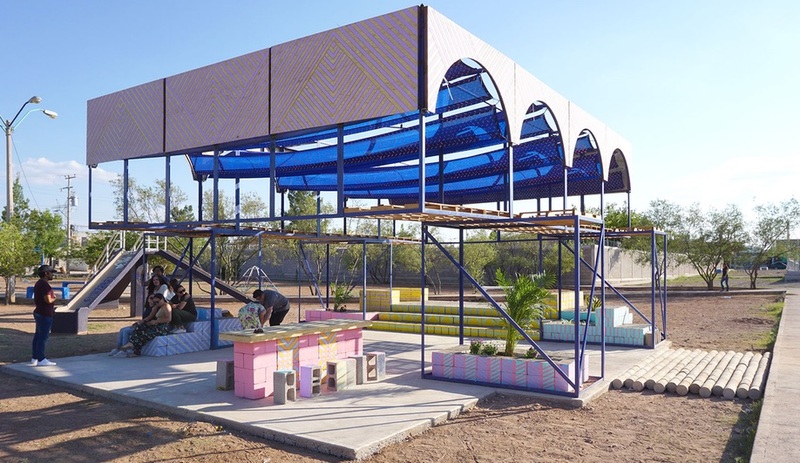 Madrid’s Enorme Studio joins forces with local students, architects and a community at large to construct the Arachi pavilion in Chihuahua, Mexico, which offers respite from the desert sun. 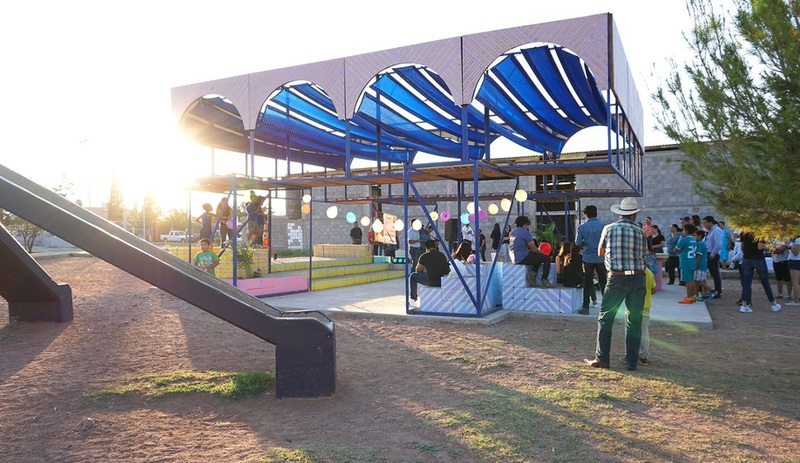 Each summer the Institute of Architecture and Design of Chihuahua, in Mexico, hosts a design/build workshop that sees students collaborate with a team of professionals to create a new public space for a local community. 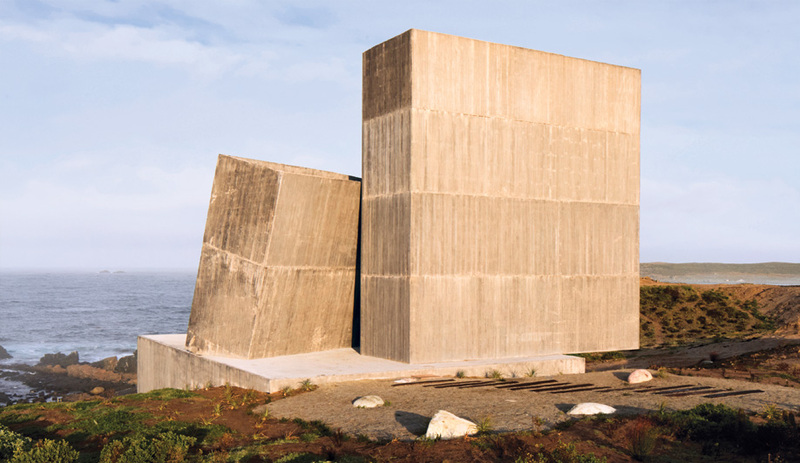 For the 2018 edition of Taller del Desierto (or Desert Workshop), Madrid-based Enorme Studio was brought in to lead the team. 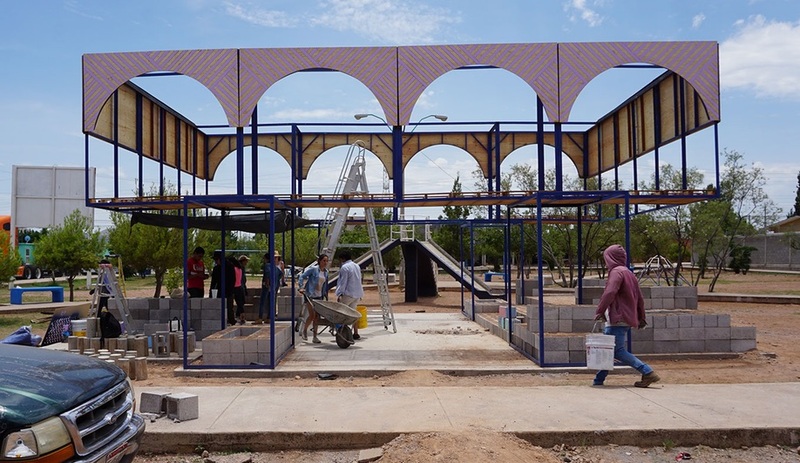 In turn architects Juan Castillo and Miguel Heredia came onboard to work with the group locally. 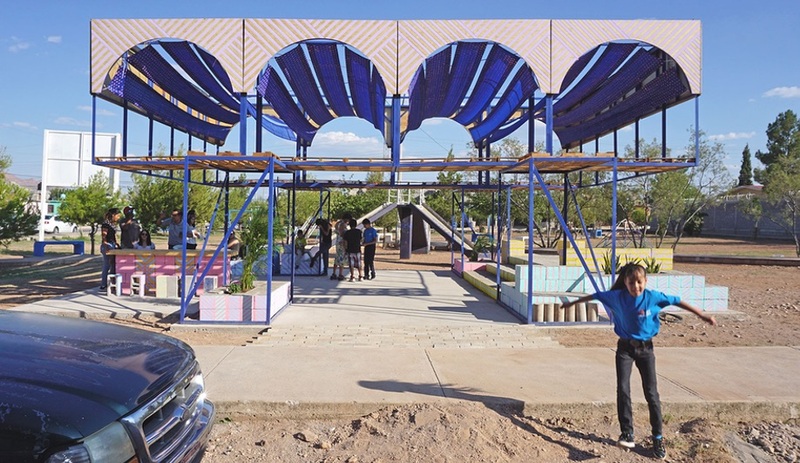 A small park in Chihuahua’s Santa Cecilia neighbourhood was chosen as the site for this year’s intervention. 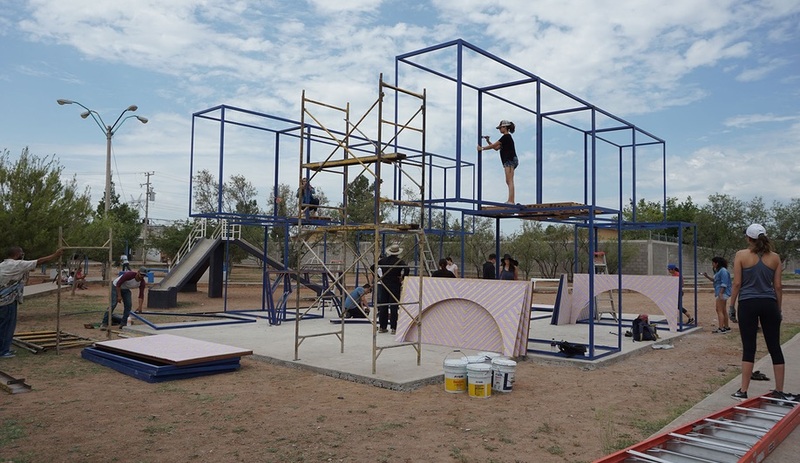 Dusty and barren, the park featured a scattering of play structures and a few sparse trees lining the concrete walkways that crisscross through the site. With only these few stunted shrubs, the park was left with no refuge from the hot desert sun. 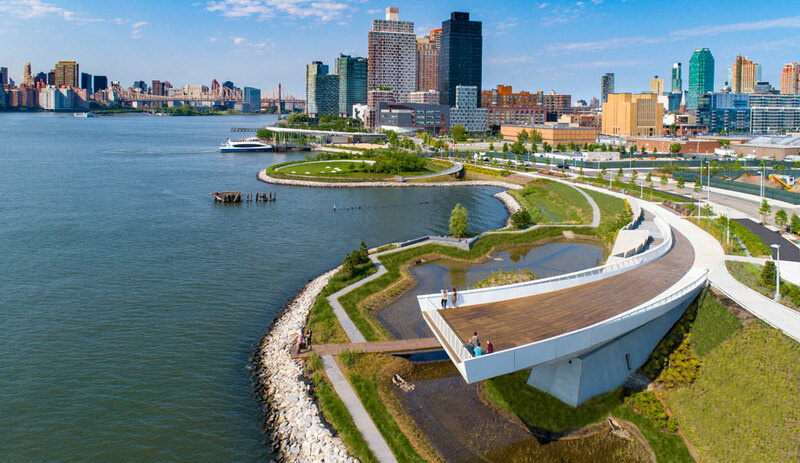 Taking a look at all the activities that the park hosts, Enorme recognized how an architectural intervention could improve the space. 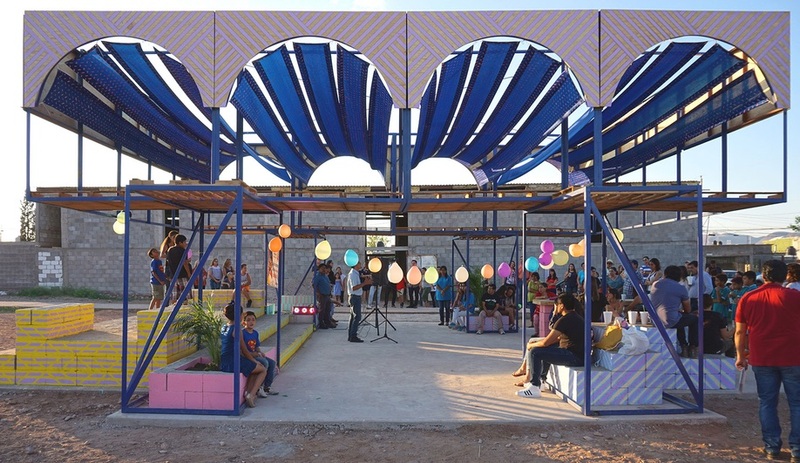 “The need for a large space of shade seemed fundamental,” says the studio, citing how much more comfortable a place to retreat from the sun would make the amenity, for the mothers who watch their children play in the park, for the children themselves, for the folk dancers who hold performances there, and for the parishioners of the adjacent church, who often use the space as a place to gather and socialize following services. 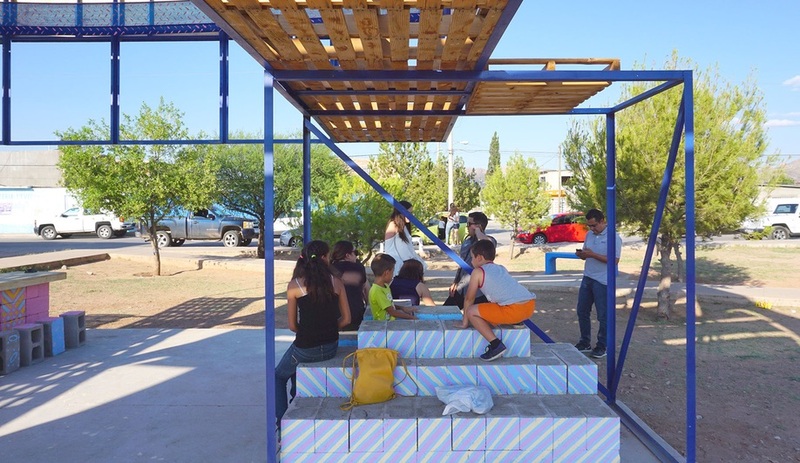 The team of students and professionals devised a pavilion that would not only provide shade, but also address another deficiency in the park: colour. 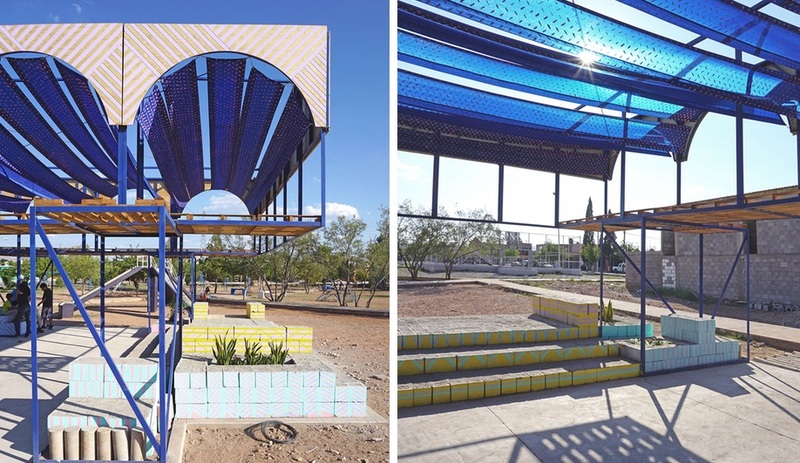 The structure is called Arachi, or “the urban alebrije” after a type of Mexican folk art sculpture. Typically modelled after an animal, these small works were originally a papier-mâché craft but are now more often carved from wood and feature vivid hues and wild patterns. 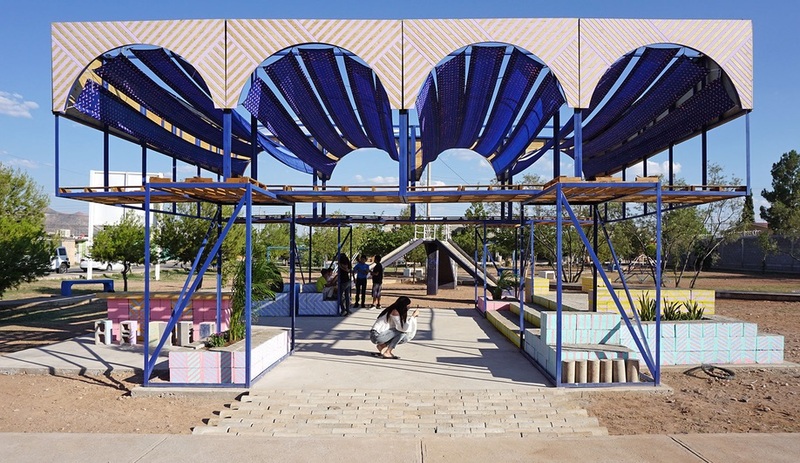 Positioned at the centre of the park, where the various zigzagging walkways meet, the pavilion comprises a vaulted metal framework, rising up from a concrete block base and topped with a multi-coloured textile roof that filters the sun’s rays. 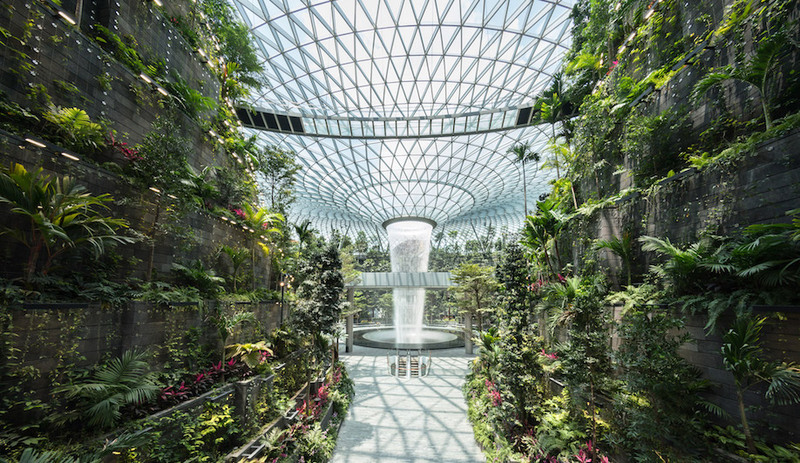 During construction, the students quickly found themselves joined by local children and adults alike. 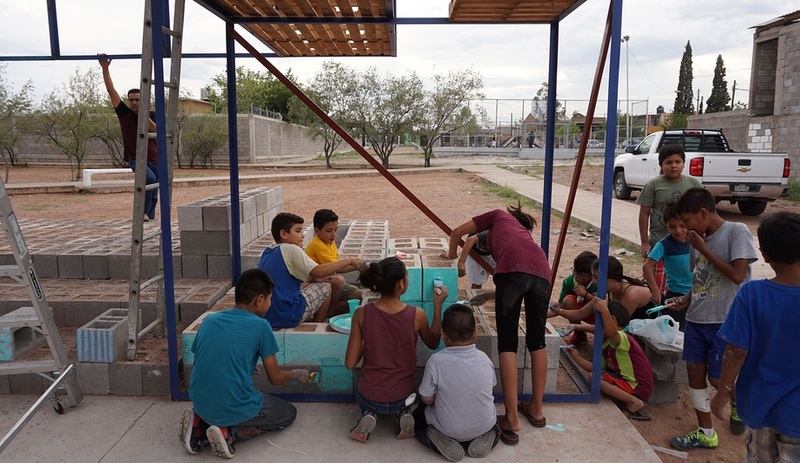 The kids pitched in with filling the concrete blocks with dirt; they were positioned to form staggered bench seating, planters, and even a small stage. 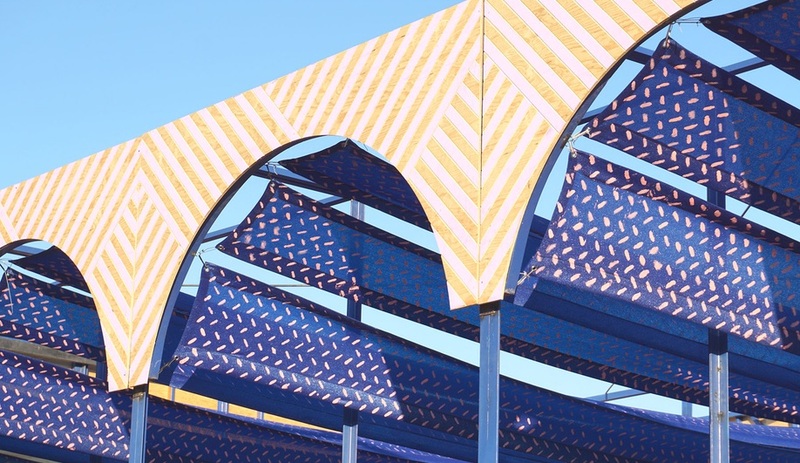 The tops were smoothed with a layer of concrete before they were painted in colours and geometric patterns that complement those of the canopy overhead. Both borrow not only from the aforementioned alebrijes, but also from the traditional costumes of the indigenous Rarámuris (or Tarahumara) people. 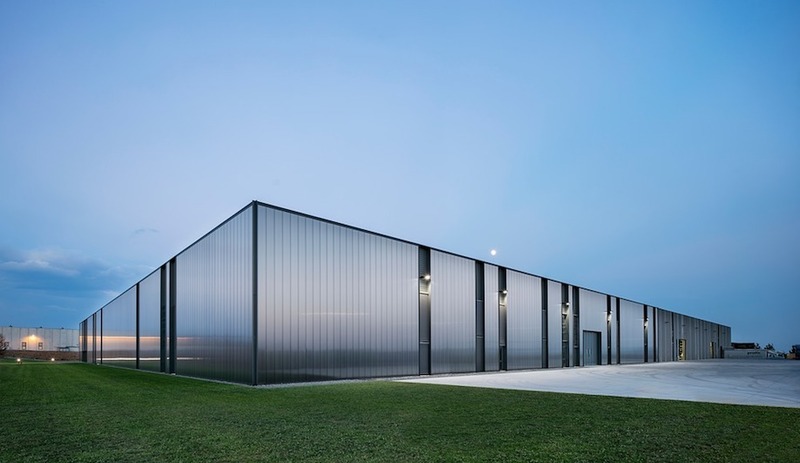 Though incredibly simple, the finished product is a bold intervention that shines like a beacon against the stark desert landscape and will serve as welcoming community gathering space for years to come.